18mm. 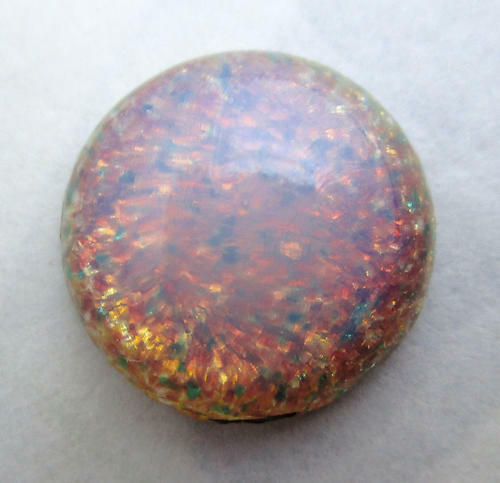 Vintage glass pink fire opal flat back cabochon from Japan. These are meant to simulate fire opals and most will have some cloudiness. New old stock. Jewelry supplies.